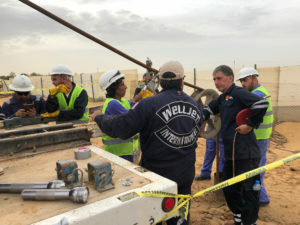 WellJet is pleased to announce its partnership with Allen Global Enterprises (AGE), for water well development and rehabilitation projects throughout the Middle East-North African region. WellJet (US Patent No. 8,312,930) is the world’s most advanced and effective method for water well development and rehabilitation. 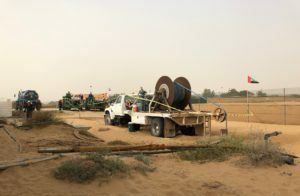 Utilizing highly pressurized water in a laminar flow, WellJet helps clients increase production, improve efficiency, reduce costs and extend the lifespan of their wells. 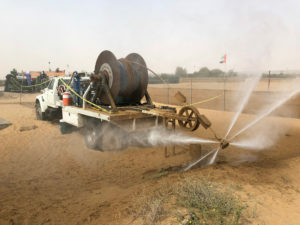 WellJet recently completed work on the Disi-Mudawarra to Amman Water System Conveyance Project, and is pursuing further opportunities in Jordan and elsewhere in the region. Allen Global Enterprises is a US firm with international projects in the water, agricultural, mining, environmental services and security fields. Allen Global Enterprises is a project-oriented company that brings together Specialists, Consultants, Entrepreneurs, Business Leaders, Academics and Professionals to evaluate, test, explore and implement technologies that maximize efficiencies for the agricultural, pharmaceutical, and defense industries. AGE products include Agriculture City, Farm in a Box, international bulk water shipments, RO water treatment, and H2Old super-absorbent all natural minerals. AGE partners include CH2M Hill, Skanska, Smallwood, Reynolds, Stewart & Stewart, Cardno, Bruarfoss and IPL. 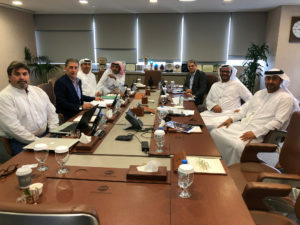 WellJet and AGE will collaborate on well development and rehabilitation efforts with agricultural, municipal and commercials clients in Jordan, UAE, Qatar, Kuwait, Bahrain, Saudi Arabia and other countries in the MENA region.